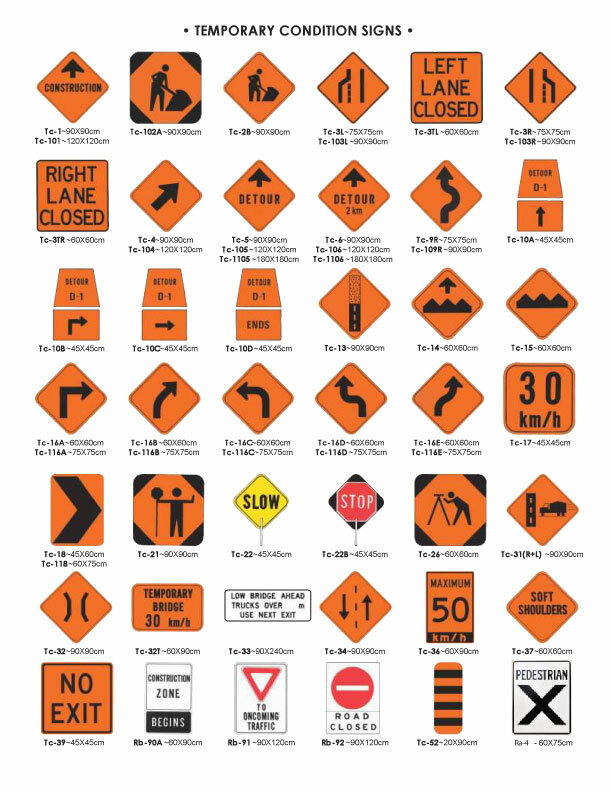 Our Safety Signs, Caution Signs and Warning Signs convey important safety information to drivers approaching work zones where temporary, and possibly hazardous construction, maintenance and utility activities are taking place. Aid. Regulate. Warn. 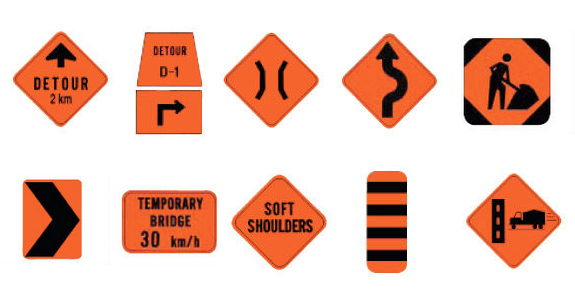 Our Safety Signs call attention to temporary conditions, hazards (poor road conditions), roadwork, construction, and detours. They often take the form of black and orange diamond-shaped TC-series signs often used for temporary traffic control. But wait, there’s more. Be sure to contact us for Parking Lot Signs, No Trespassing Signs, Regulatory Traffic Signs, Fire Route Signs, and Security Signs, all of which can be customized affordably today!